Take I-85 South to Peachtree Road, exit 86. Go 2 miles on Access Road and follow signs to Peachtree Street/Buckhead North. Turn right at traffic light onto Peachtree Road. 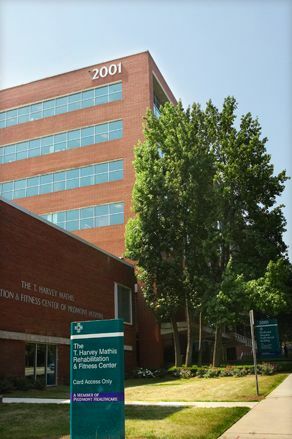 Go approximately 1 mile and our building is on the right (directly in from of the main entrance to Piedmont Hospital). Turn right into the parking deck, just past “Piedmont Hospital Professional Building” sign. Take I-75 South to Northside Drive, exit 252. Turn left at the end of the exit ramp. Go approximately 1/2 mile and turn right onto Collier Road. Turn left onto Peachtree Road, and our building is down one block on the right hand side of the road. Follow Georgia 400 until it merges with I-85 South. Stay in the right lane and exit onto I-75 North. Take I-75 North to Northside Drive, Exit 252 right at the end of the exit ramp. I-75 and I-85 will divide. Take I-75 North to Northside Drive, Exit 252. Houston’s Restaurant on Peachtree Road is just North of Piedmont Hospital, on the same side of the street as the hospital, but on the opposite side of the street from our building. Chick-fil-A, Mama Fu’s, and CVS Pharmacy are all just south of our building on the same side of the street as our building.